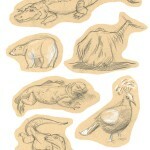 A few of the zoo drawings. I want to go again this summer when it’s warm! It was no fun standing in the cold. 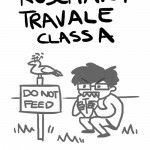 Honestly one of my favourite things is to make extra terrible title pages for the portfolios I have to hand in for school.